MCX Copper updtaes:- MCX copper June expiry future last closed at 401 with 7 rupee loss. In intraday MCX copper future made low near 394 while intraday high was near 407.total 13 rupee intraday range and achieved 398 and 395 targets. Here below 408 hold short view or sell on rise view for target 395 to 390 on downside. Copper on MCX up side 402 and lower side 393. MCX Copper has fall more than one percent and have touched the levels of 395. Now we expected trader can go buy side. 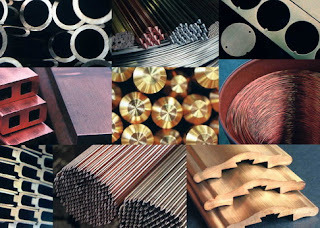 @ Buy Copper near to 396 within 28 June delivery targets 398, 400 Stop Loss 392. Nickel Updates:- MCX nickel June expiry future last closed at 817 with loss of 20 rupees. In intraday MCX nickel future made high near 836 while low was near 814.total 22 rupee intraday range and heading towards 800 levels. Here for intraday below 824 hold sell view and expect 810-800 levels as targets. @ Buy MCX Nickel above 811 June Contract Targets’ 812, 813 Sl 809. MCX Crude Trading Calls:- Crude trader can Sell MCX Crude oil July delivery below 5690 Targets’5675 , 5660 Stop Loss 5720. Get our Free Trial for 24 June latest updates and …..We also Provides Mcx Live, Commodity trading Tips, stock Tips, Trading calls, mcx tips, ncdex tips, mentha oil price, cotton updates, gold and silver updates, stock tips, nifty calls. accurate and helps to earn good profit on daily basis.